Since 2012, Nissan has played an important part of the Supercar Championship, shaking things up and disrupting the longstanding bromance between Holden and Ford. Having never won at Sandown, Factory Nissan Motorsport will eagerly enter the endurance race fielding two teams, hoping to capitalise on a huge 2016, which delivered Nissan’s first win since 2013 with Michael Caruso at the wheel. 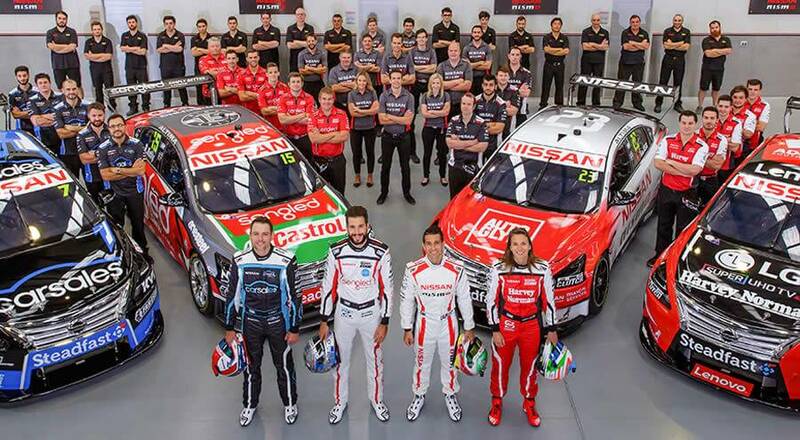 In addition to Nissan’s two stablemates in Todd and Rick Kelly, the Factory Nissan Motorsport Team also features the first full-time female driver in the Supercars era with international racer Simona de Silvestro. The weekend is guaranteed to feature some full-throttle family activities including on track entertainment Disney Pixar Cars Pit Stop, and plenty of support categories hitting the track in the lead up to the big race. Fans of all ages can get up and close with their favourite drivers during autograph sessions, test their speed at the new Crazy Eights Raceway, and even test their reflexes on the digital interactive race panel. The ever-popular giant, double-lane inflatable slide will be back again this year, and fans can pick up some great gear along Merchandise Alley. The track is less than 30 minutes’ drive from Brighton, located on Princes Hwy in Springvale. It’s a great opportunity for fans young and old to enjoy a fun-filled weekend and cheer on the Factory Nissan Motorsport Team. Secure your tickets now at www.supercars.com and don’t forget, kids 12 and under receive free trackside admission with a paying adult.